Thanks to social media, it doesn’t take much to generate controversy these days. Fans being given a platform to very vocally share their thoughts on their favourite comic book TV shows and movies is obviously great, but it’s not hard to find a fuss being made over nothing most days. However, there are some adaptations which actually justify that sort of discussion. Seth Rogen and Evan Goldberg’s take on Garth Ennis and Steve Dillon’s Preacher was controversial enough before the show hit the small screen. Yet they walked the fine line between the absurd heights of the comic book and the necessity for a compelling episodic drama extremely well. In case the title didn’t make it clear, we’re obviously referring to the most controversial comic book adaptations of all-time, both on the big and small screens! What you’ll find here then is a look at the ten properties which have created a stir for a variety of reasons ranging from creative decisions to content it’s hard to believe found its way from page to screen. While it’s fair to say Man of Steel didn’t exactly live up to expectations after the trailers promised an origin story on the level of Batman Begins, no one could have imagined the sort of controversy the movie’s final act would generate. Three years on, and think pieces are still being written about the decision to have Superman break General Zod’s neck at the conclusion of their battle. The destruction caused to Metropolis has been equally as divisive, with many furious that the hero seemingly sacrificed thousands to save billions. Even Batman v Superman: Dawn of Justice’s attempts to address this didn’t really help those who decided they hated it, and as a result, the DC Films Universe got off to a controversial start! 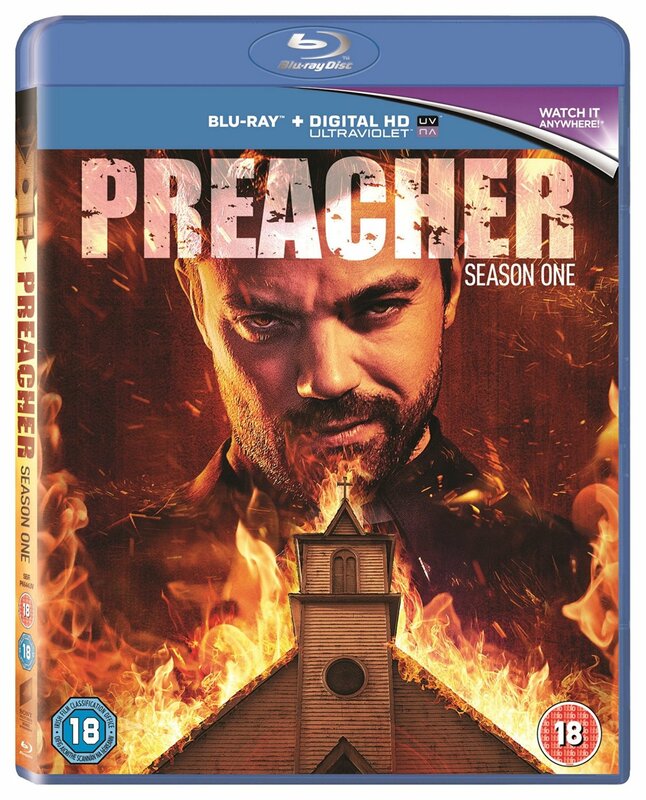 Preacher Season One is out on Blu-ray and DVD now.